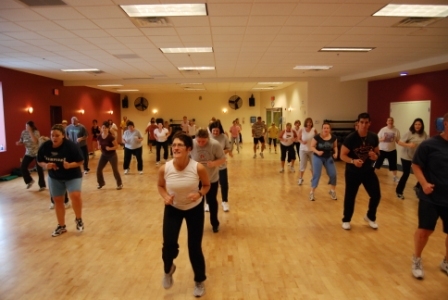 The group exercise classes in Canton, MA have several benefits, in addition to the fitness benefits. This is why more and more people are interested and joining these various classes. Many people cite a lack of time as a reason for not exercising. However, because there are so many different exercise classes and times, everyone can find a way to fit exercise into their busy schedules. They're fun too, so it is absolutely worth it. Group exercise classes are 60 minutes long offered at various times, so joining one feels like taking a break from a busy schedule and they offer an efficient workout for the time allotted. Go to the gym in the morning, afternoon, or in the evening, whenever you have an hour to spare. In addition to having a class that fits your schedule, you will also be able to choose exercises that will help you achieve your fitness goals. Beginning- and sticking to- an exercise program is crucial to fitness and health. You will exercise with a certified group exercise trainer who will teach you the right routines and the right way they should be performed for maximum benefit. And while enjoying yourself during the group exercise class, you can forget that you are exercising especially since you won't be working out alone and having fun while doing it.